Weiner Tales: Oh Happy Day! *Update* I totally forgot to pass this award along to the fabulous Kirstren over at Lady Kirstren. How could I forget her?!?! She's my cousin, a new blogger and just all around AWESOME! 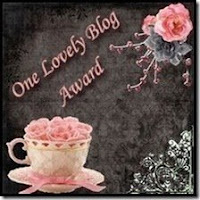 Post it on your blog together with the name of the person who has granted the award, and his or her blog link. Pass the award to 15 other blogs that you've newly discovered. Remember to contact the bloggers to let them know they have been chosen for this award. Not all of these folks are "new" to me. My first awardee is Jill at Jill's Believe It or Not. Tiney, I cheated and stole your sister! Jill is hysterically funny, I read her blog religiously and will occasionally go back and look at old posts for their puppy pictures. Next is Sara at Unwrap Life. She is most definitely not new to me; in fact this is the second award I'm giving her. She writes AWESOME posts! I just discovered Hallie at Wonderful World of Weiners when she decided to follow my blog. See folks?!?! I pay attention! She is cute, and I can't wait to see what she and her dachshund do next. We also have the super cute JLC at French Kiss. What can I say? She's adorable and I envy the her enthusiasm in all she does! Then there is Kaitlin at Life of a Busy Wife. She truly is one busy wife and just her adorable Puggle alone keeps me coming back for more! Jane at Moonflowers, Mojitos and Me is new to me. I already enjoy what she has to say and bet it keeps getting better. D.A.R at Just Another Day in Paradise is amazing. She seems to get handle everything thrown at her - school, running, her dogs and her hubby's deployment with such ease. Kathryn at Ritch in Love is very cool. Not only is she an amazing flight attendant - she's going to get published in Redbook this month! Another happy revelation of the day is a little silly... Grey's Anatomy has partnered with theknot.com and created a wedding web page for Derek Shepherd & Meredith Grey. It is so cute; you have to check it out! Thanks for the award Cole!!!!!!! hahaha SIS! Tiney just dragged me to Home Goods on Saturday that's where the kids broke the swing. OOPS! Thank you so much! I love it!! A. Thanks so much! I will try to get better, but I'm not traveling again until then end of May. Can you wait that long? B. I can't wait to go to a Home Goods. It sounds so fun! Seems to me you followed the rules pretty well! 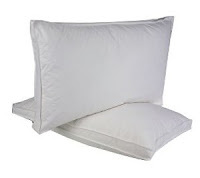 I have down pillows that I ordered from QVC 12 years ago and I still love them! Love the award!! What a cool way to start my day! Awwww *hugs* THANK YOU!!! You are too sweet with what you say! Hope you're having a good day hun! Thank you thank you!!! You are so sweet!! congrats on your award! you deserve it! i guess i'm a pillow snob at well. i'll only sleep with a body pillow. i love my pillow! You Gotta Love A Giveaway! Did Someone Say "Outlet Shopping"?!? !